In Ethiopia's Omo valley, children are being killed horrifically under an ancient tradition known as 'mingi'. Teeth growing in a certain order can bring a child a death sentence. One young tribesman strives for change through education and adopting the cursed children. But challenging tribal superstition isn't easy and as he battles to save lives, things are not all that they seem. This clever film will stay with you long after you watch it. "Hurry. . . Where is she. . . Is she alive?" asks Lale Labuko, breathless as he hastens through the undergrowth. Metres ahead a young man emerges from the darkness, clutching a tiny newborn baby girl: dumped in the forest and left to die, she is naked and crying, but alive. Lale is just in time to save her. Under Kara tradition, any child born with the feared mingi curse must be sacrificed. "Every mingi child must be killed. We do this for the protection of our people" explains Dore Akir, leader of the Kara. A baby is Mingi if it is born out of wedlock, without the blessing of the elders, or if its teeth emerge in a specific order, and any child with the curse is sacrificed shortly after birth, or often left to die in the forest. This practice of killing mingi children is ingrained in the Kara culture, and has taken place for generations. But now Lale Labuko, one of the first of the tribe to receive a formal education, has returned to the village to end the practice and save the 'cursed' children. Lale offers to adopt the mingi children himself, taking them away from the village and saving them from the wilderness. But many of the Kara see his efforts as a direct threat to their identity: as one village elder argues, "Lale comes here and thinks he's educated. He cannot end the curse. Ending Mingi is against our culture". Lale must ignore regular threats from the elders as he battles to educate his people. Founding his own orphanage, he aims to show that the mingi children were never really cursed: "it is very important for these children to succeed. They will be the next doctors, engineers, pilots... All of them could have been killed, but now they are the next leaders of their generations." Lale is trying to not only save the cursed children, but also to end the practice of mingi forever. "If we end mingi it means we save the whole generation" he explains. But in a culture so ruled by ancestral tradition, he must risk everything to bring about meaningful change. John Rowe is a photographer and filmmaker who first trained at the US Navy School of Photography when he was 18-years-old. He has spent many years travelling the world photographing some of its most intriguing people and cultures. His love for people and their cultures led him to Southwest Ethiopia and the tribes of the Omo Valley in 2004 and he has since been documenting the life and struggles of the tribal people in the Omo Valley. Together with Lale, the documentary's protagonist, he formed the Omo Child foundation to care for rescued Mingi children. 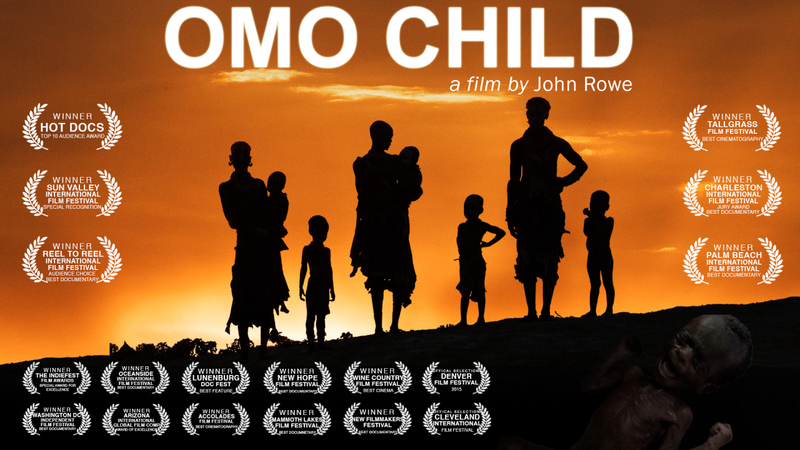 Filmed over a five-year period, Omo Child is filled with remarkable imagery that presents an intimate look at the lives of the tribal people of the Omo Valley. National Geographic calls this region “Africa’s last frontier,” their only contact with the outside world came less than a generation ago. This is the first time their voices and their story will be heard. 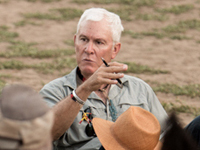 John Rowe (director/ producer) is one of the world’s leading experts on this region. He first began developing deep personal relationships with this population over a decade ago during his photography trips in which he captured the beauty and humanity of this fascinating community. 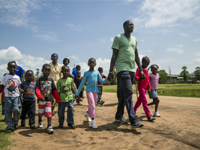 Omo Child culminates on Lale Labuko’s incredible journey to save the lives of forty-five children who would have been victims of ritualistic infanticide. This film ultimately celebrates these babies lives, unthreatened by curses and superstition. From Lale Labuko’s story, we glean a universal message; one inspiring and tenacious individual can make dramatic changes in a society.